As a food manufacturer, you probably already know that demand for Non-GMO foods is on the rise in the US. In fact, “Non-GMO” is now the fastest growing store brand claim¹. That’s because consumers are increasingly caring about what they’re putting in their bodies, and they’re calling for change through their grocery stores and legislation. 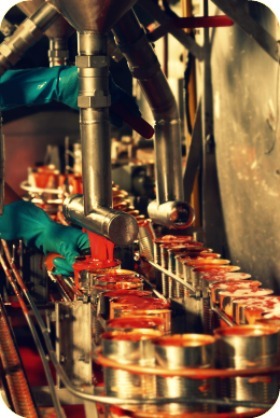 As a food manufacturer, you should be increasingly aware of this trend, and begin researching whether changing your ingredients to their non-GMO counterpart is a smart move. If you’re using conventional Soybean or Canola Oil, you could make the switch to Non-GMO Expeller Pressed Canola Oil instead. Here are 5 basic reasons to make the change. Consumers are increasingly paying attention to what they’re putting in their own bodies, and their children’s bodies. With the Non-GMO movement on the rise, there’s an increase in the number of consumers that are seeking Non-GMO foods. Not only is “Non-GMO” the fastest growing store brand claim, but the Non-GMO Project Verified seal (a 3rd party documentation seal) is one of the fastest growing in the natural products industry, at a rate of more than 15% last year². Food manufacturers are responding by creating new Non-GMO product lines or changing all of their existing ingredients to non-GMO versions. For example, Cheerios cereal just made the change to Non-GMO-- a big switch for the cereal that’s been a favorite of consumers since 1941. Non-GMO ingredients are considered by many to be a high quality, natural alternative to their original GMO counterparts. For example, Non-GMO Expeller Pressed Canola Oil is a sought after alternative to regular canola oil, which has become a standard in the food industry over the last 50 years. Just like Extra Virgin Olive Oil is more respected that it’s lower olive oil grades, Non-GMO Canola Oil is more respected than conventional canola oil. This non-GMO trend is especially important if you are a food manufacturer in the natural sector, selling to Whole Foods Market or hoping to sell to them in the future. That’s because Whole Foods is showing their support for a consumers “right to know” concerning GMOs. Recently, they announced that by 2018 all products sold in their stores must be labeled to indicate if they contain GMOs. That means that by 2018, Non-GMO becomes the “baseline” or standard for their store’s products, and GMO foods have to be labeled outright. This is the exact opposite standard from what has existed in grocery stores across the US in the last few decades. As a result, Whole Foods vendors will be undergoing labeling and ingredient changes over the next 3 years. It’s also possible that other grocery chains may feel the ripple effect of this change; some manufacturers may change ingredients or labels for all of their grocery store customers, not just limiting the change in products sold to Whole Foods. Non-GMO Canola Oil is commonly considered a premium, more natural version of Canola Oil that is pressed with non-GMO seeds. In addition, the expelling process usually used with non-GMO seeds is know as expeller pressing. This means that the oil is mechanically squeezed out of the seeds, rather than using solvents to extract the oil. As expected, a natural expelling process is used with these non-gmo seeds. In the natural industry, these oil traits are commonly demanded together. This means that when you upgrade to Non-GMO Canola Oil, you’re also probably upgrading to an expeller pressing method of extraction. Across the board, you can expect to pay about 30-50% more for the Non-GMO version of your canola oil. This increase in price may vary depending on how much you buy, where you’ve bought your Canola Oil in the past and where you plan to buy your Non-GMO Canola Oil in the future. These numbers may seem high to some, but in comparison to other non-gmo oils (like Safflower, Sunflower, & Olive Oil) you’re still saving money. To keep your Non-GMO costs down, try to work with a bulk supplier located close to the oil manufacturing plant. Suppliers located in the Pacific NW and Canada are often a good choice, because there are local Non-GMO canola manufacturing plants in both of these areas. Most food manufacturer’s would agree, the best reason to make the change to Non-GMO ingredients is if your target market customer is calling for the change and/or there is a likelihood of increased sales. We suggest doing market research before making this transition to determine if it’s the right move for your company. Want to get information like this delivered to your inbox? Subscribe to this blog. Enter your email below to get commodity market updates & cost-saving tips for procurement professionals. Looking To Buy Oils In Bulk? Now you can buy online, without talking to a salesperson. 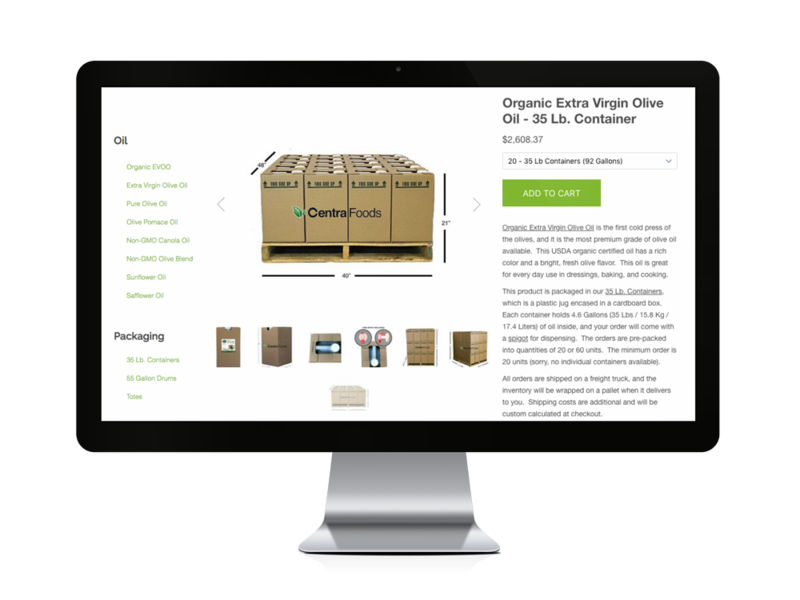 In our online store, you can see live prices on a variety of non-gmo and olive oils in totes, drums and pallets of 35 lb. containers. You can also get a custom shipping quote to your facility, and place an order online with a credit card. Pallets ship fast, within 1-3 business days.